What rights do creditors have under Alabama law to collect debts from consumers? I owe money to a creditor in Alabama. What can the creditor do to try to collect the account from me? Alabama allows wage garnishment and account levies. The Alabama statute of limitations on credit card debt is 3 years. Consult with an attorney to learn more about your rights and liabilities. A collection agent or law firm that owns a collection account is a creditor. A creditor has several legal means of collecting a debt. But before the creditor can start, the creditor must go to court to receive a judgment. See the Bills.com resource Served Summons and Complaint to learn more about this process. The court may decide to grant a judgment to the creditor. A judgment is a declaration by a court that the creditor has the legal right to demand a wage garnishment, a levy on the debtor's bank accounts, and a lien on the debtor's property. A creditor that is granted a judgment is called a "judgment-creditor." Which of these tools the creditor will use depends on the circumstances. We discuss each of these remedies below. The most common method used by judgment-creditors to enforce judgments is wage garnishment. A judgment-creditor contacts your employer and requires the employer to deduct a certain portion of your wages each pay period and send the money to the creditor. In most states, creditors may garnish between 10% and 25% of your wages, with the percentage allowed determined by state law. Garnishment of Social Security benefits or pensions for consumer debt is not allowed under federal law, but may be allowed for child support. 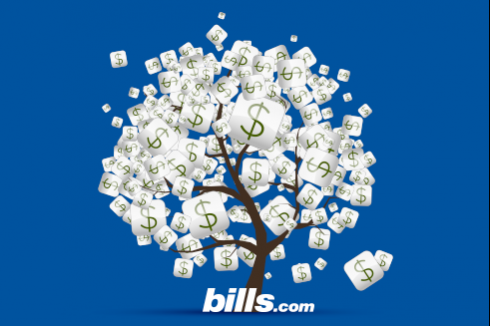 See the Bills.com Wage Garnishment article to learn more. Alabama garnishment rules are found in Title 5 (Section 5-19-5). In general, Alabama follows the federal rules for the amount of a garnishment, which allows up to 25% of a worker's wages to be garnished. See the Dept. of Labor's Employment Law Guide - Wage Garnishment and the Dept. of the Treasury's Answers About Garnishments. Municipal and state employees may be garnished. Generally, 401k or other retirement funds are exempt from garnishment. It is advisable to have those funds specifically deposited into a separate bank account to ensure financial accounting if you are concerned with a garnishment on those payments. A levy means that the creditor has the right to take whatever money in a debtor's account and apply the funds to the balance of the judgment. Again, the procedure for levying bank accounts, as well as what amount, if any, a debtor can claim as exempt from the levy, is governed by state law. Many states exempt certain amounts and certain types of funds from bank levies, so a debtor should review his or her state's laws to find if a bank account can be levied. In some states levy is called attachment or account garnishment. The names may vary but the concept is the same. In Alabama, administrative levy is allowed under for recovery of taxes and unpaid child support. In Alabama, levy of bank accounts is called garnishment. AlabamaLegalHelp.org offers online court forms a consumer can complete to request to stop a garnishment of a bank account. If you reside in another state, see the Bills.com Account Levy resource to learn more about the general rules for this remedy. A lien is an encumbrance -- a claim -- on a property. For example, if the debtor owns a home, a creditor with a judgment has the right to place a lien on the home, meaning that if the debtor sells or refinance the home, the debtor will be required to pay the judgment out of the proceeds of the sale or refinance. If the amount of the judgment is more than the amount of equity in your home, then the lien may prevent the debtor from selling or refinancing until the debtor can pay off the judgment. Alabama laws governing liens are Title 35, Chapter 11. Under Section 6-9-211, "Every judgment, a certificate of which has been filed as provided in Section 6-9-210, shall be a lien in the county where filed on all property of the defendant which is subject to levy and sale under execution, and such lien shall continue for 10 years after the date of such judgment..." Mechanics and contractors (and similar laborers and professionals) have the right to place a lien on a property. If you reside in another state, see the Bills.com Liens & How to Resolve Them article to learn more. Each state has is own statute of limitations. The statute of limitations for Alabama is found in Title 6, Chapter 2. The statute of limitations for open accounts (credit cards) is 3 years (Section 6-2-37), written contracts are 6 or 10 years depending on the circumstances (Section 6-2-33 and 6-2-34), and spoken contracts are 6 years. An Alabama judgment is valid for 10 years, and can be revived for another 10 years (Section 6-9-191 and 6-9-192). Collection agents violate the FDCPA if they file a debt collection lawsuit against a consumer after the statute of limitation expired (Kimber v. Federal Financial Corp. 668 F.Supp. 1480 (1987) and Basile v. Blatt, Hasenmiller, Liebsker & Moore LLC, 632 F. Supp. 2d 842, 845 (2009)). Unscrupulous collection agents sue in hopes the consumer will not know this rule. See the Bills.com resource Alabama foreclosure to learn more about the rules surrounding foreclosure in this state. Consult with an Alabama attorney experienced in civil litigation to get precise answers to your questions about liens, levies, and garnishment in Alabama. Can a garnishment extend past 20 years? For example, if a creditor revives a judgment and then initiates garnishment proceedings right before the revival period expires, can that garnishment continue after the expiration of the revival period? If the court allows the judgment-creditor to renew a judgment before it expires, then a garnishment can continue. The rules for revival are trickier, and a civil litigation lawyer in your state will be the best person to answer judgment revival questions. Does the Alabama statute of limitations cut off wage garnishments? For example, if a judgment-creditor garnishes near the end of the 20-year period (after reviving the judgment), can that garnishment extend beyond twenty years? The general rule in civil law is a statute of limitations sets a time limit for when a plaintiff can file an action. With a judgment, the statute of limitations rule sets a time limit for when a judgment-creditor can start a wage garnishment, levy an account, or file a lien, but there are exceptions. Consult with an Alabama lawyer who has civil litigation experience to learn the details of Alabama's rules. Can collection agencies or law offices garnish broker accounts such as Charles Schwab or E trade accounts? Stock related things? Are the broker accounts IRAs or similar forms of retirement accounts? If so, most states exempt retirement accounts from judgment-creditor collections. Because you asked your question on an Alabama collection laws page, I will assume you reside in Alabama. Under Ala. Code § 19-3B-508, pensions and retirement accounts are exempt from assignment or alienation by any legal or equitable process. If the brokerage accounts are not retirement accounts, then I am not aware of any exemptions or protections Alabama (or any other state) has in place for brokerage accounts. Consult with a lawyer who has consumer law experience if you have been sued as a result of a delinquent debt. It is possible for brokerage accounts to be garnished by a judgment-creditor. Collection laws vary from state to state. I recommend that you speak with an Alabama attorney, to determine the level of risk you face and what actions you can take to best protect your assets. I have a law firm that is trying to garnish money from my bank account. The only money deposited in that account is child support. Can that be garnished?? Only a lawyer can properly give legal advice. I will share my opinion, but please don't consider it legal advice. The child support funds should not be subject to garnishment. I recommend that you discuss this matter with your bank, to make sure that the source of funds is noted on your account. I have a judgement in Alabama against someone. Can I do a third party garnishment on someone who owes her back child support or garnish her income tax? Is child support exempt from garnishment in Alabama? I can't give you legal advice, because only a lawyer can properly do so, but I will share my opinion. The money due for back child support can't be garnished. It is not for the person who owes you, but for the child. I don't believe that you are able to collect from any tax refund owed to your judgment-debtor. I suggest that you speak with a lawyer that specializes in debt collection, to learn what options are available. If the amount you are owed is substantial, it may be worth paying a percentage to collect on the debt.